The Riu Naiboa Hotel does not have its own spa. Nonetheless, excellent massages and hair braiding, are available at the hotel's garden pavilion. Riu Naiboa Hotel guests have unrestricted access to the spa next door at the Riu Palace Bavaro. Do not miss a moment from the gorgeous Caribbean Garden. 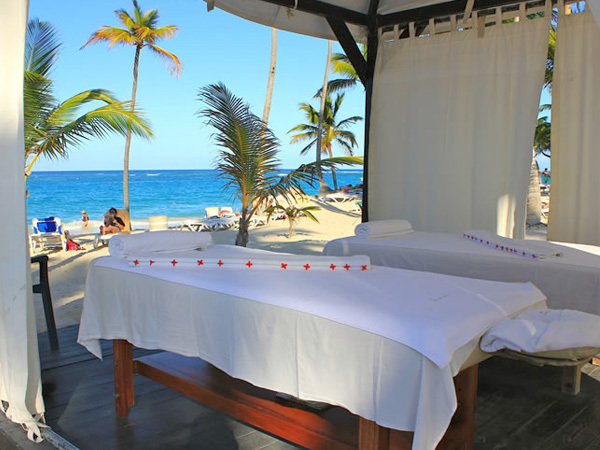 Relax and enjoy the sound of palm trees and nature with a unique massage at Renova Spa's garden pavilion. A broad range of spa services such as body treatments, facials and massages including specially designed packages, salon and nail services can be enjoyed at the Riu Palace Bavaro to make your vacation just unforgettable!